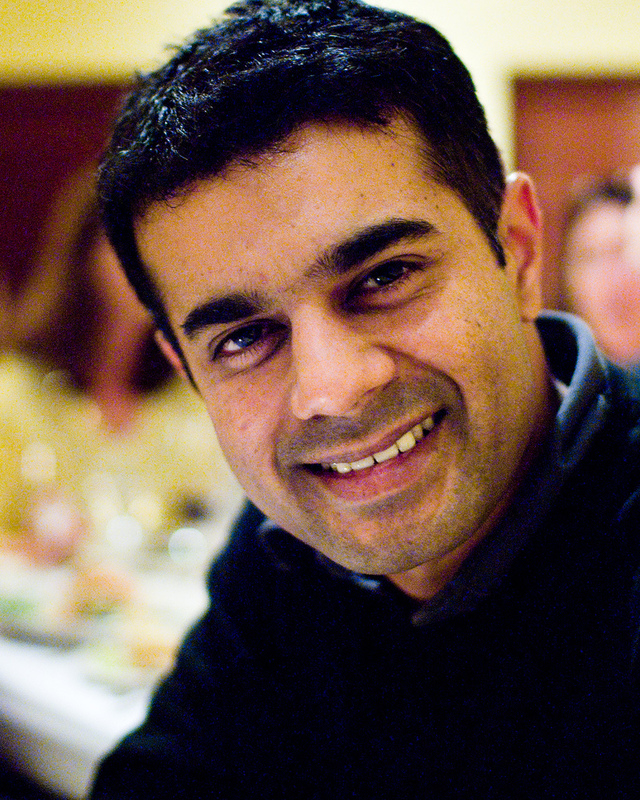 Hari Sundaram is an Associate Professor in the Computer Science and in the Advertising Departments at the University of Illinois at Urbana-Champaign. His research, motivated by the challenge of "persuading millions of people to adopt behaviors (e.g. adopt healthy lifestyles) that would be beneficial to them,'' lies at the intersection of social network analysis and computational advertising. Analyzing the question of behavioral change at massive scale, requires us to develop new theoretical frameworks, design algorithms, build scalable systems and perform field experiments. His research has won awards from the ACM and IEEE societies. Develop a novel theoretical framework and develop analysis tools to understand the knowledge dynamics within a large scale media rich social network. In this proposal, we propose to work on two closely related problems: detection of emergent communities of people and their evolution in a large scale media rich network; identification of key roles for both people and media objects. Annually, the Editor-in-Chief of the ACM Transactions on Multimedia Computing, Communications and Applications (TOMM) honors one member of the Editorial Board with the TOMM Associate Editor of the Year Award. The purpose of the award is the distinction of excellent work for ACM TOMM and hence also for the whole multimedia community in the previous year. Criteria for the award are (1) the amount of submissions processed in time, (2) the performance during the reviewing process and (3) the accurate interaction with the reviewers in order to broader the awareness for the journal. Develop novel context-aware event models, and event annotation algorithms with the goal of improving the search quality and annotation results in online social network communities. There are three main contributions: development of event models, and the attendant event algebras; development of representations of event and user context that are query dependent; algorithms that determine user-user correlation given a query, and determining effective recommendations by using the event neighborhood. Bageshree Shevade, Hari Sundaram and Lexing Xie, Modeling Personal and Social Network Context for Event Annotation in Images, Proceedings of the Joint Conference on Digital Libraries 2007, Jun. 2007, Vancouver, Canada. Yinpeng Chen, Weiwei Xu, Hari Sundaram, Thanassis Rikakis, and Sheng-Min Liu. Media adaptation framework in biofeedback system for stroke patient rehabilitation. In Proceedings of the 15th international conference on Multimedia, pages 47–57. ACM, 2007. Yinpeng Chen, Helen Huang, Weiwei Xu, Richard Wallis, Hari Sundaram, Thanassis Rikakis, Jiping He, Todd Ingalls and Loren Olson, A Real-Time, Multimodal Biofeedback System For Stroke Patient Rehabilitation , Proc. SIG ACM Multimedia 2006, Oct. 2006, Santa Barbara, CA. Develop a novel collaborative annotative system that exploits the correlation in user context, to enable members of an online social network to effectively annotate images. Yinpeng Chen and H. Sundaram, Basis Projection for Linear Transform Approximation in Real-Time Applications, Proceedings 2006 IEEE International Conference on Acoustics, Speech and Signal Processing (ICASSP 2006), 1520-6149, II-637-II-640, May 2006, Toulouse, France. Hari Sundaram, Lexing Xie and Shih-Fu Chang, A Utility Framework for the Automatic Generation of Audio-Visual Skims, Proc. 10th SIG ACM Conference On Multimedia, (ACM Multimedia 2002) Juan Les-Pins, France, Dec. 2002. Outstanding Ph.D. thesis, Columbia University, 2002. Shih-Fu Chang, William Chen Horace Meng, Hari Sundaram and Di Zhong, A Fully Automated Content Based Video Search Engine Supporting Spatio-Temporal Queries, IEEE Trans. on Circuits and Systems for Video Technology Sep.1998.